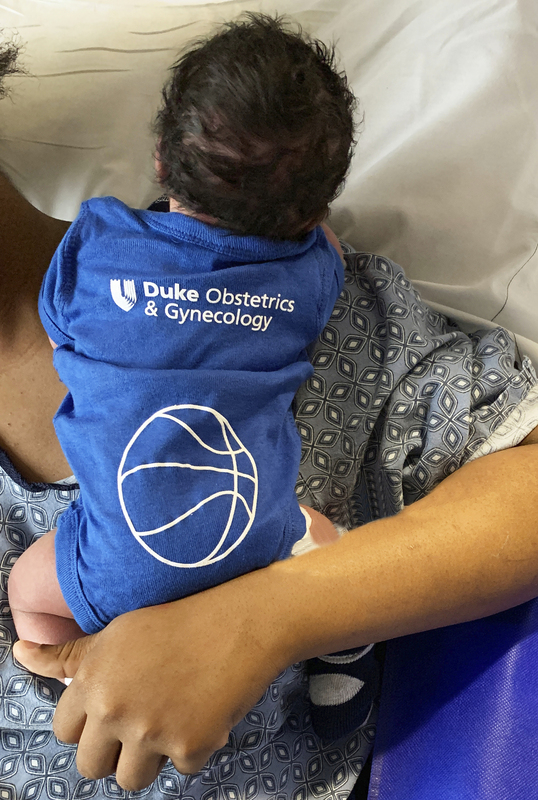 The Duke Birthing Center and providers at Duke Regional Hospital and WakeMed are giving families with newborn babies a Duke onesie with a basketball on the back to celebrate March Madness. "We've had great feedback, and it makes people smile, which is our goal," said Matthew Barber, the E.C. Hamblen Professor of Obstetrics & Gynecology and chair of Duke OB/GYN. The department delivers about 6,000 babies a year in total at Duke hospitals and WakeMed North Hospital in Raleigh. 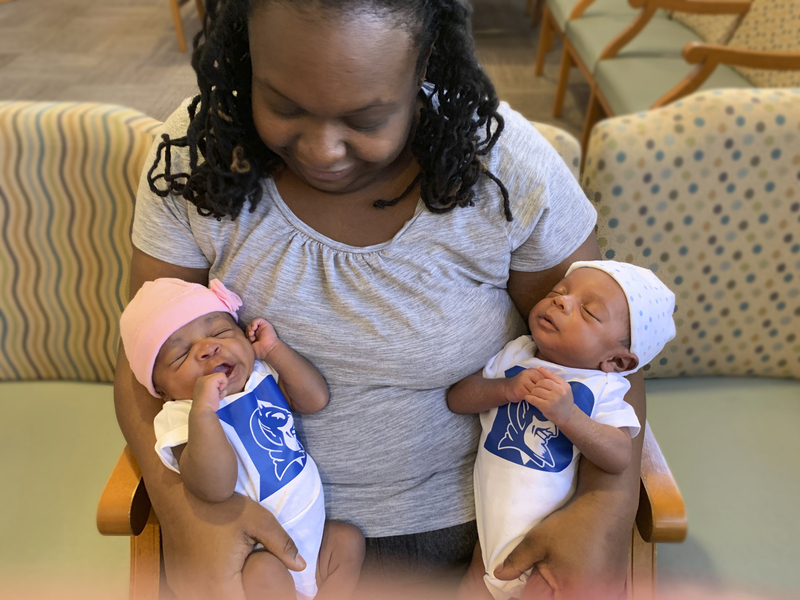 "The onesies will continue to be given to newborns throughout the NCAA basketball tournament as a way to generate team spirit for Duke Obstetrics and Gynecology and of course, Duke basketball," Samiha Khanna with Duke Health said.